Super-Sonic amplifiers are powerful tools for guitarists to create glorious Fender clean and overdriven tones and expressive modern high-gain distortion...in one no-nonsense amp. The Super-Sonic 22 Head offers the exact same feature set of our popular combo version, which is built on the classic Deluxe Reverb power platform. 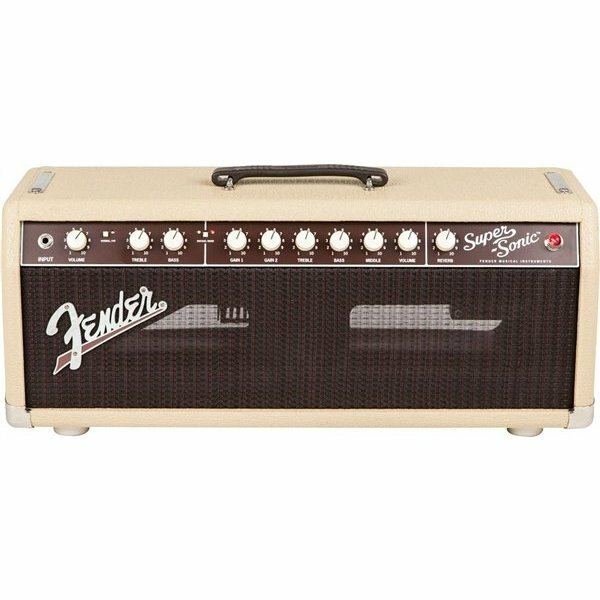 This toneful mid-powered head mates well with our Super-Sonic 212 enclosure or other quality 8 Ohm speaker cabinets. Offered in classic Black/Silver or iconic 1961 Blonde/Oxblood cosmetic treatment; both versions include ivory "radio" knobs and flowing 1960s script logo.